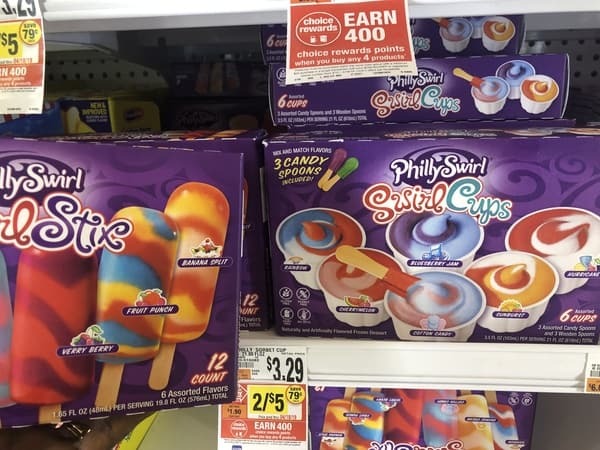 Philly Swirl Frozen Products are priced at $2.50 each at Giant. In addition to this price, you will earn $10.00 in gas reward points to make the final price FREE!! Note: There is one $25.00 purchase requirement for all gas rewards offers.